Who remembers Back to the Future? 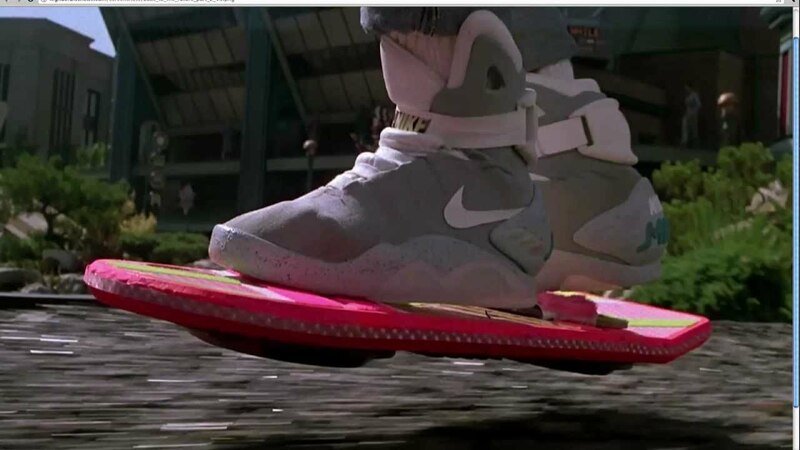 The film franchise that still serves up memories of our childhoods’, and especially has us remembering the super cool self-lacing Nike Air Mags worn by Marty McFly (Michael J. Fox) in the film’s sequel. They were everything! In the 1989 film Back to the Future II, Marty McFly and Dr Emmett “Doc” Brown (Christopher Lloyd) travel to 2015, where shoes have “power laces” and simply tied themselves. Nice! Although that never happened by 2015, without self tying shoes available on the common market, you could’ve still owned one shoe from film history if you had got in on the bidding war on eBay. The original left Nike trainer (we’re not sure what happened to the right?) has sold for $92,206.66, and the proceeds will go to Michael J. Fox’s foundation for Parkinson’s research. The actor launched the Michael J. Fox Foundation after being diagnosed with the disease in 1991, and the famous sneaker was auctioned off as a fund raiser for the cause. However, as it’s been almost thirty years since the sequel’s release, the trainer isn’t in mint condition but could be preserved for viewing purposes. In fact, it was considered so fragile and precious that it was only made available to buyers in Portland, Oregon as it would not survive any further transportation (apparently). So, they’ll be nowhere near the futuristic self lacing shoes that they were in the film, but you can’t beat a shoe of film history, can you? There was no shortage of interest in the item, as the famous shoe garnered 221 eBay bids before its final sale in the bidding war. Along with its power laces, the shoe also features a blue foam sole, plus has LED lights in the decaying heel and a glowing Nike logo on the strap. Fresh! Since its first appearance in the film, 15,000 replicas of the shoe were produced and commissioned for auction in 2011 in order to raise money for the Michael J. Fox foundation. None of them had the iconic power lace like the original, but they ultimately sold out like hot cakes anyway. With three hours left the OG Nike Mag is currently going for $92,206.66. There are 221 bids and 2802 watchers. This is going to get exciting! The Michael J. Fox Foundation, which was established in 2000, has become the largest non-profit foundation of Parkinson’s disease research worldwide, investing more than £650m (£495m) in research. Parkinson’s causes the brain to become progressively damaged, and the main symptoms are shaking in parts of the body, slow movement and stiff and inflexible muscles. It can also cause loss of sense of smell, insomnia and memory problems. As for Michael himself, now 57, he has returned to the screen in recent years, most notably in his role as Louis Canning in The Good Wife. It’s a good thing that the large amount of money will be going to a good cause, and that whoever bought the shoe now has an extremely valuable item to glare at in awe whenever they feel like it. And who knows? Maybe self lacing shoes will actually be part of every day life someday… But we’re still waiting, so perhaps we need to go Back to The Future and sort that out, ASAP?